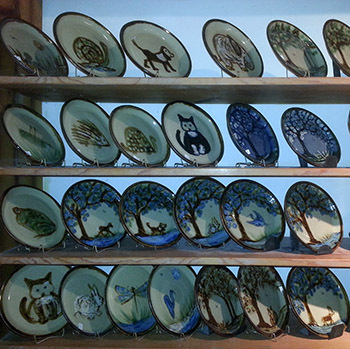 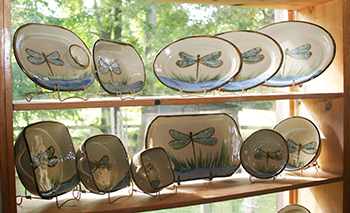 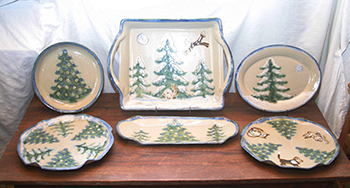 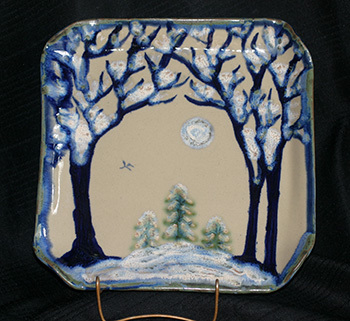 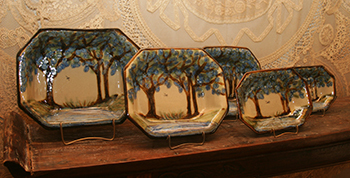 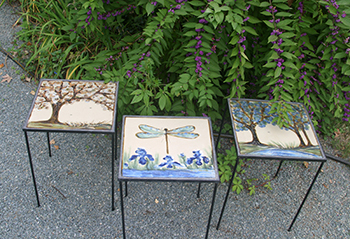 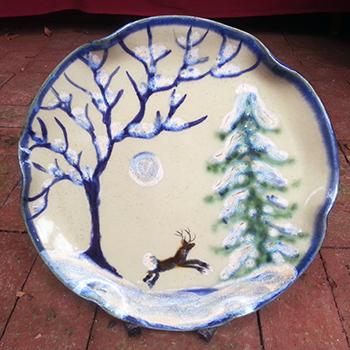 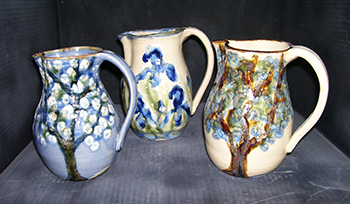 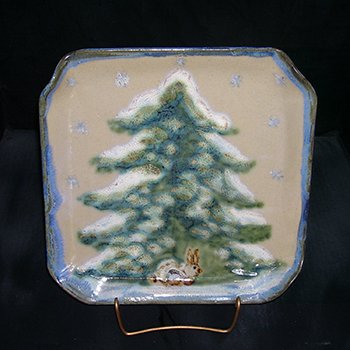 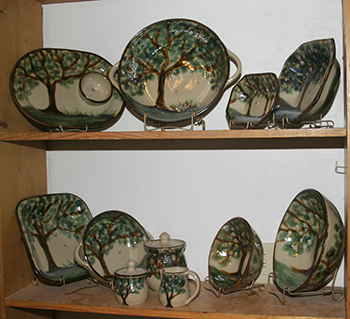 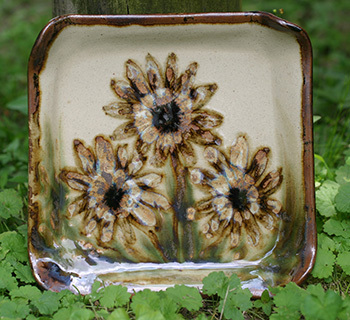 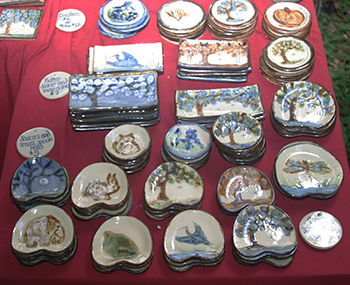 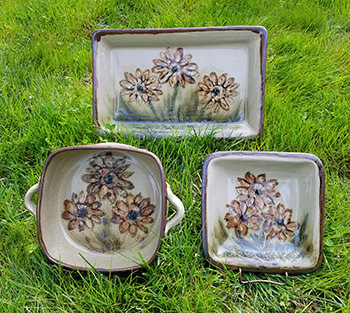 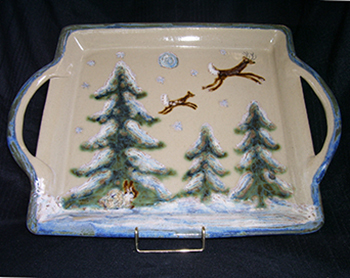 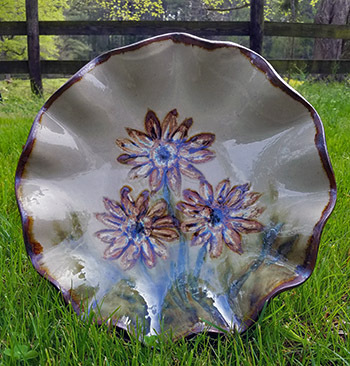 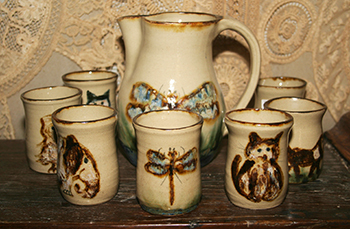 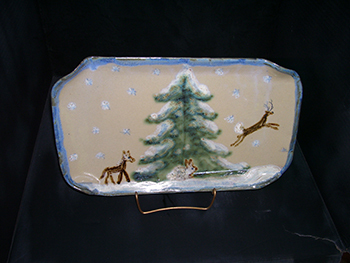 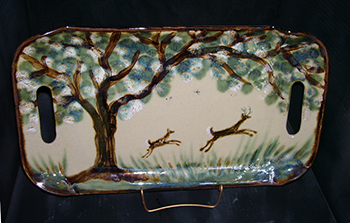 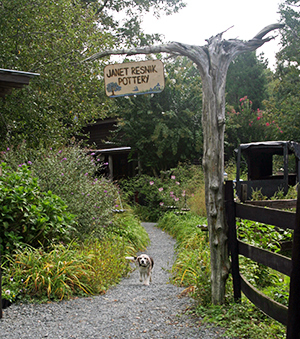 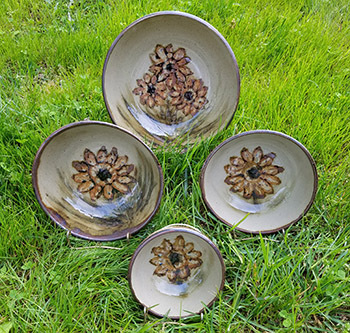 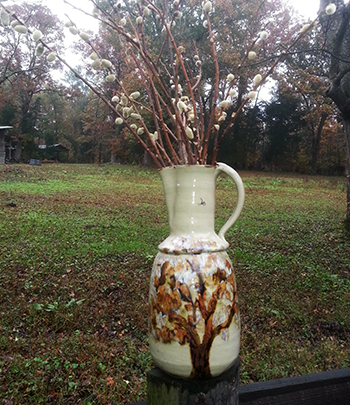 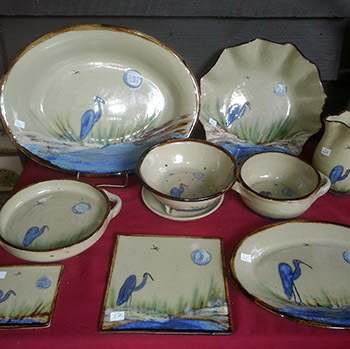 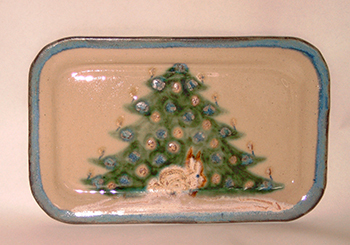 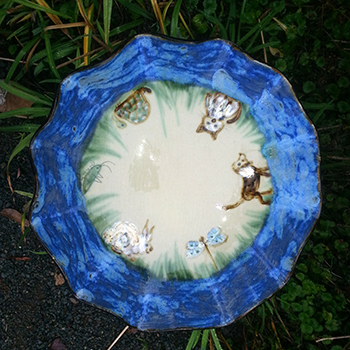 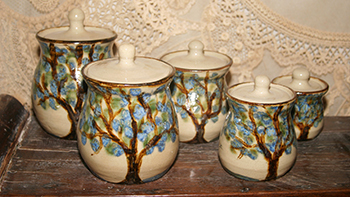 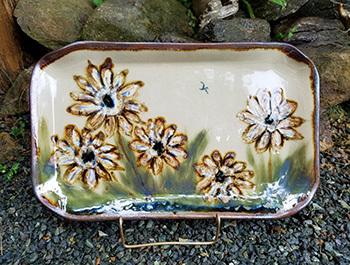 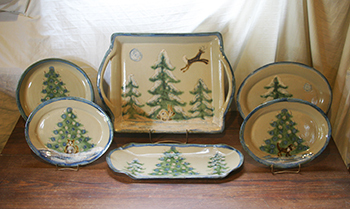 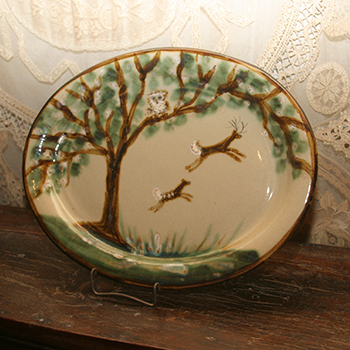 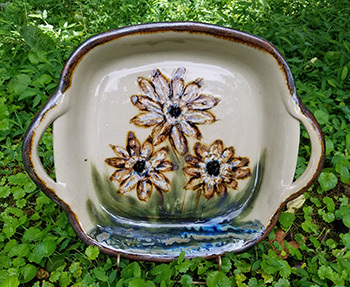 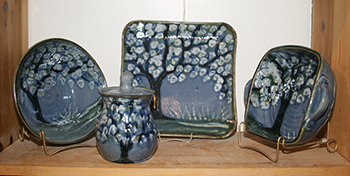 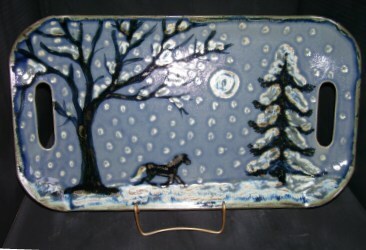 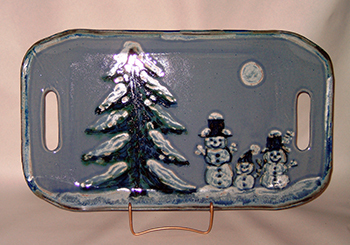 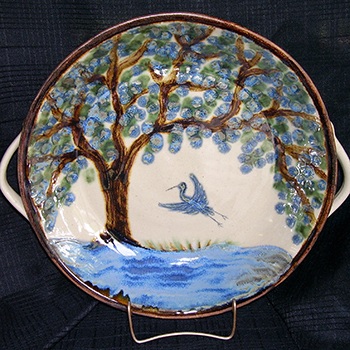 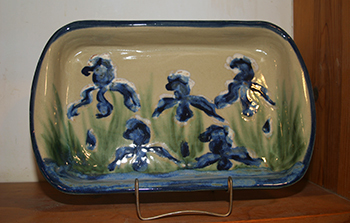 Janet Resnik Pottery specializes in affordable, functional tableware and garden items glazed with impressionistic landscape, animal, iris and Christmas designs. 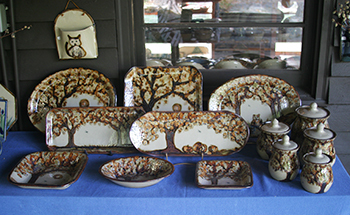 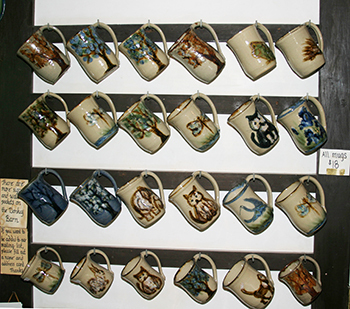 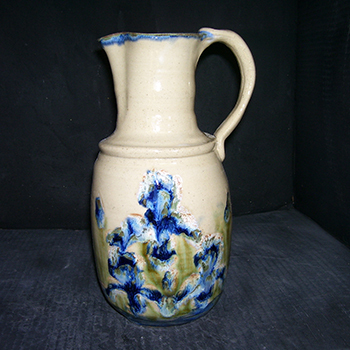 The pottery is located at 132 Collins Mountain Road, about 10 miles west of Chapel Hill. 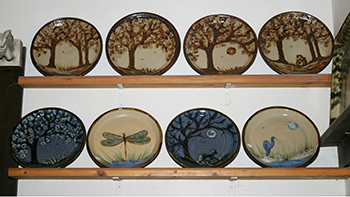 The pottery gallery is open all year on Wednesdays and Sundays from 3 P.M. until 6 P.M, or by appointment (closed in January and July, except by appointment). 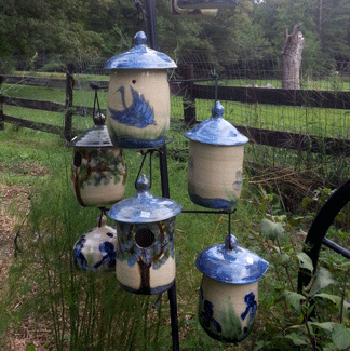 Call 919 929 3324 for an appointment. 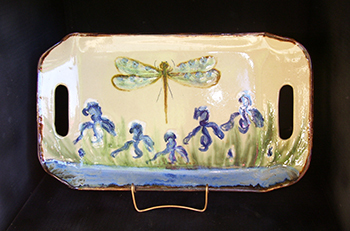 It will also be open during special sales such as the Spring Kiln Opening and the Chatham County Studio tour. 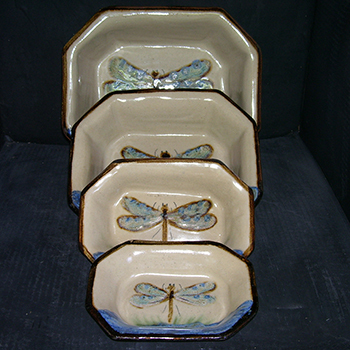 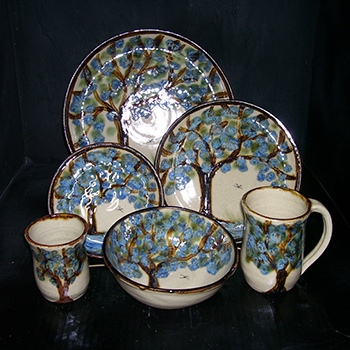 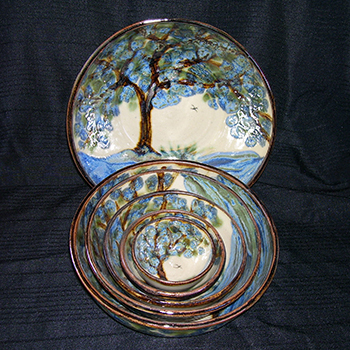 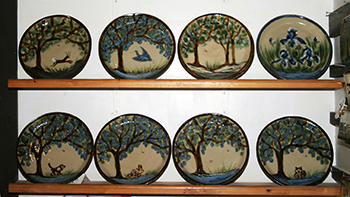 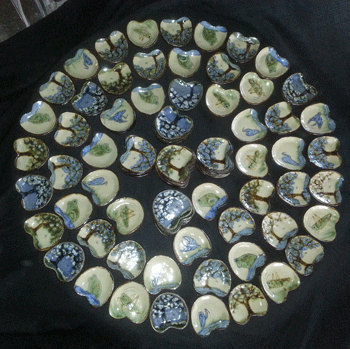 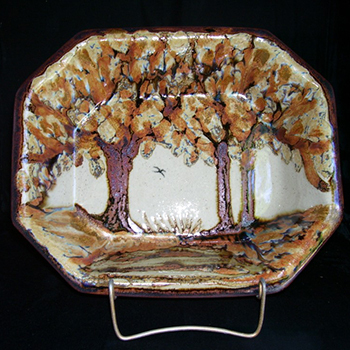 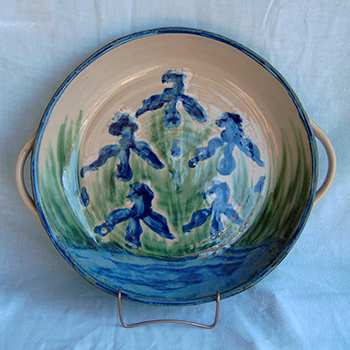 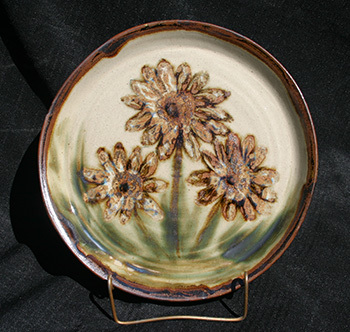 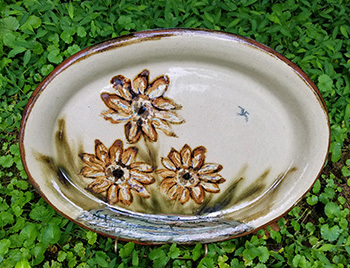 In addition to the pottery, Janet Resnik Pottery can be purchased at several galleries listed on the Contact page.